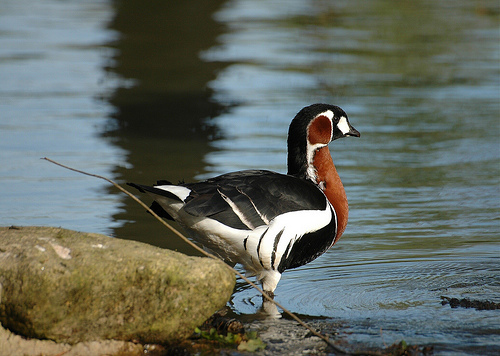 Every year there are Red-breasted Geese found in western Europe, often mixed in groups of Barnacle Geese. Despite its red appearance, it is sometimes difficult to distinguish them in a large group. 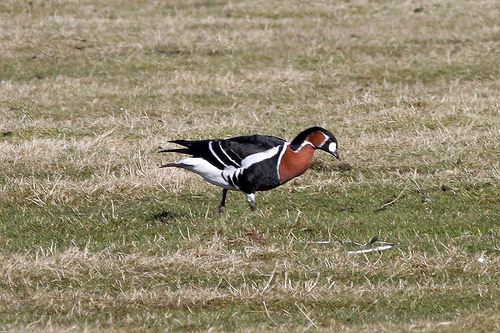 The Red-breasted Goose breeds in north-eastern Europe.